You may remember last week I teased you with a glimpse of a work in progress …. This is an 18″ cushion, called ‘2 Face’ because you can display either the front or the back. The cushion filler was a little on the fat side, but you get the idea! 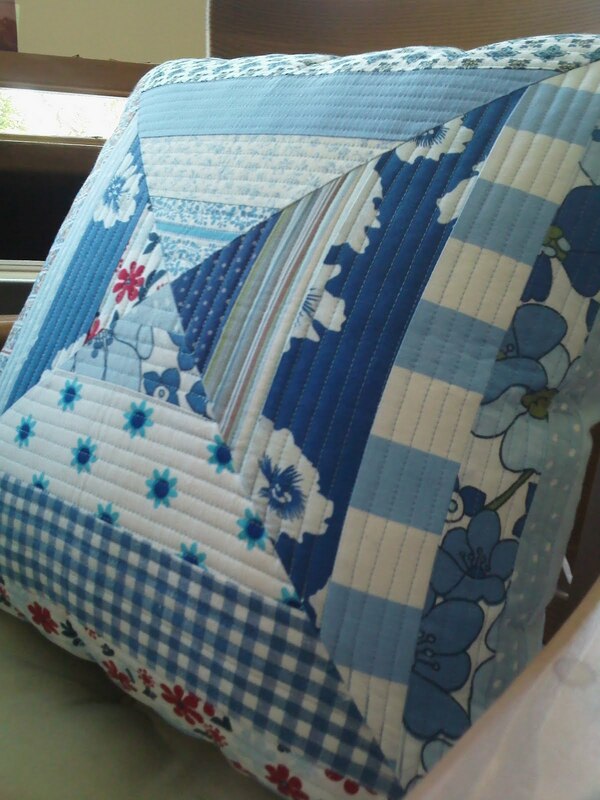 The technique for making this cushion is ‘strip piecing’, sewing the strips together, & using a template to cut out the triangular sections. 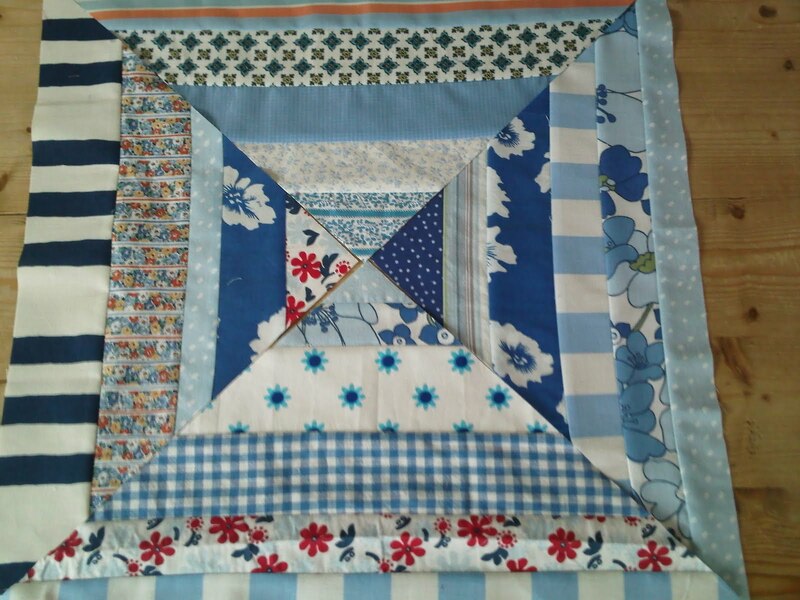 The front piece is then quilted. I simply quilted ascending squares working from the middle to the outer edges. 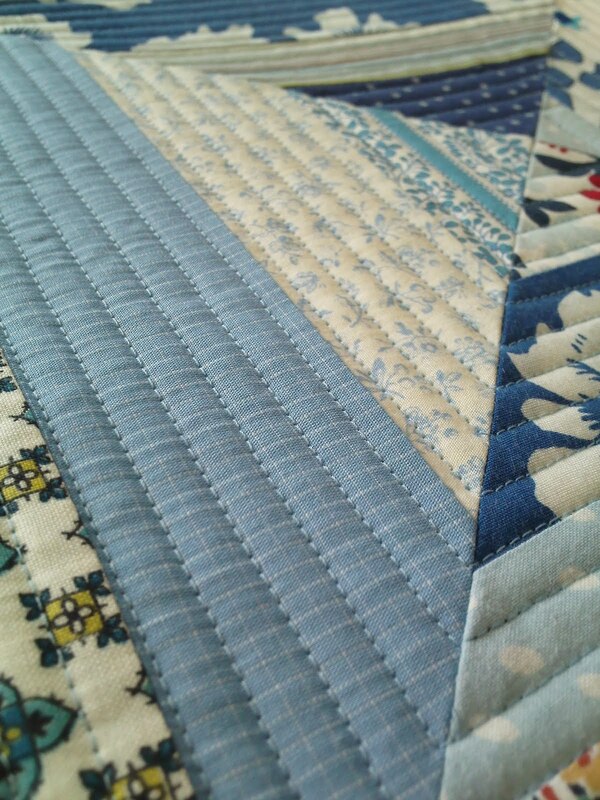 This is a great project for using different lengths & widths of scraps. I designed this project for my Oasis class, which will start up again on Wednesday. Oasis is a local charity and they rely heavily on donations (monetry and fabric!). 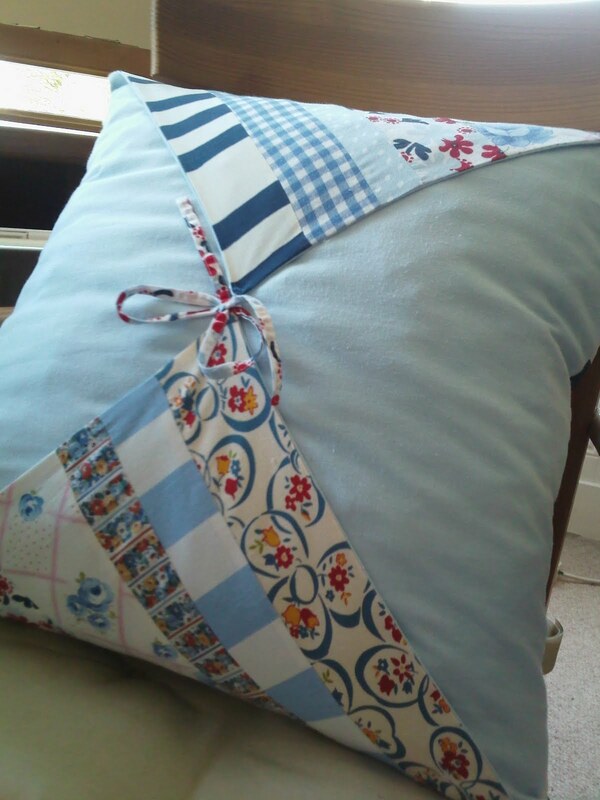 We are usually working with scraps and recycled materials e.g. pillowcases, clothes etc. so the projects have to incorporate the fabrics we have available, along with techniques and skills that the ladies can learn and add to their growing talents. Hopefully, in a few weeks time, I might have some pics of their versions of ‘2 Face’! 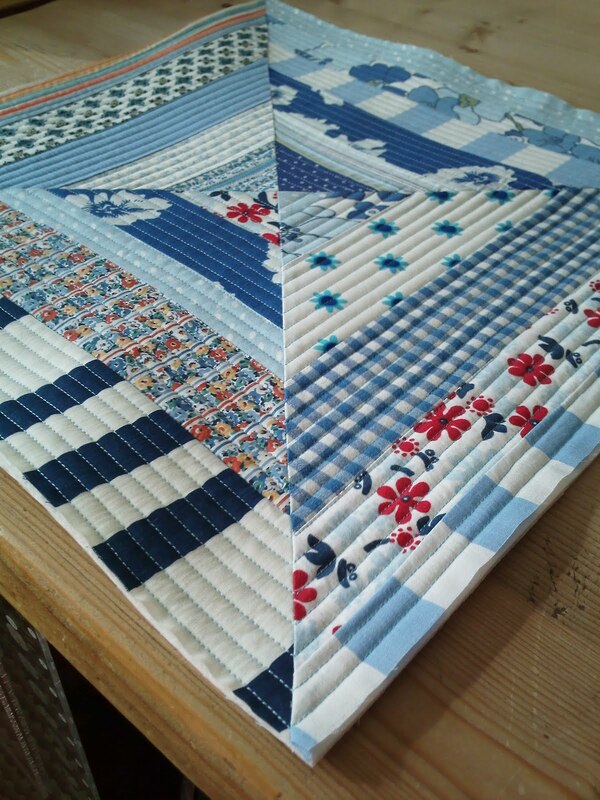 Previous Previous post: Completed Dresden QAL & other works! Next Next post: There's always Johnny Depp!